Writer Deborah Moggach nominates Staffordshire author Arnold Bennett, whose work she thinks has been wrongly overlooked. With Gyles Brandreth, a lifelong Bennett fan. 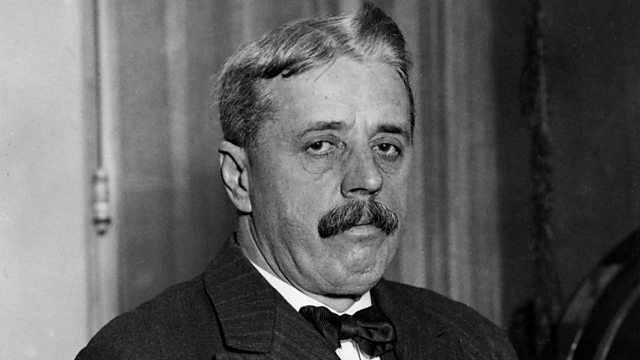 Writer Deborah Moggach nominates the author Arnold Bennett whose work she thinks has been wrongly overlooked. Deborah thinks that the work of the Staffordshire writer Arnold Bennett has been forgotten, largely due to snobbery on the part of the Bloomsbury Set who dismissed it as being too popular. Moggach believes that because he was a working writer who earned his living writing both serious and light fiction, he was not taken seriously after his death in 1931 despite his books being hugely popular during his lifetime. Bennett wrote many novels from Anna of the Five Towns set in his native Potteries district of Staffordshire to The Old Wives Tale and The Grand Babylon Hotel. As a journalist, he also wrote self help and lifestyle articles for magazines from How to Bathe a Baby Part One to Do Rich Women Quarrel More Frequently Than poor? Gyles Brandreth has been a lifelong fan of the works of Arnold Bennett and believes he is one of the greatest writers of the 20th century who deserves to be rediscovered.